At All Seasons Air Conditioning, we know how important clean and healthy indoor air is to you and your family. That’s why whenever somebody calls for a professional indoor air quality service on Long Island, we always provide the best solutions for their IAQ needs. It’s frustrating to know that your home suffers from poor indoor air quality- not to mention the negative effects it brings to your comfort and health. If you are concerned about the air you are breathing in your home, it’s time to talk to qualified IAQ experts for the best solutions. 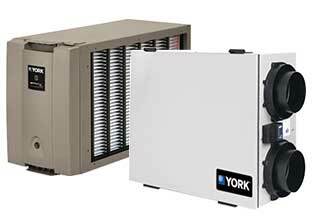 We offer a complete range of specialized indoor air quality devices including air purifiers, air filters, home air cleaners, whole-home humidifiers, air ventilators and more. These are proven effective in keeping healthy indoor air for you and your family. Talk to our IAQ Specialists! Are you troubled by the poor indoor air quality in your home? Our team at All Seasons Air Conditioning is happy to address your concerns and bring back the comfort you deserve. Talk to our licensed specialists today!